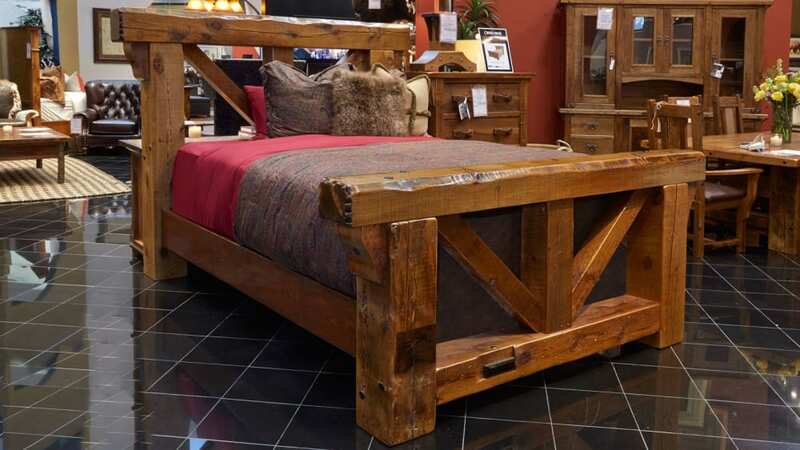 Built using mortise-and-tenon construction, this bed is "glued and screwed" to provide a lifetime of protection from wear and tear. 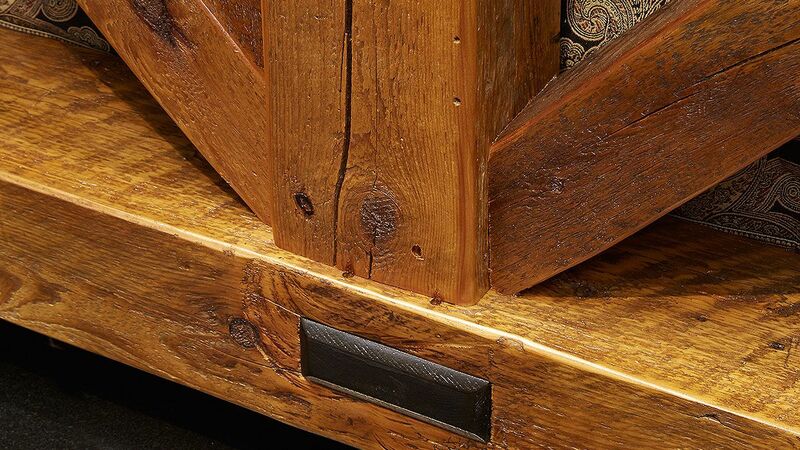 Crafted from reclaimed barn wood timber, sustainably harvested, making this a rock-solid piece of furniture. 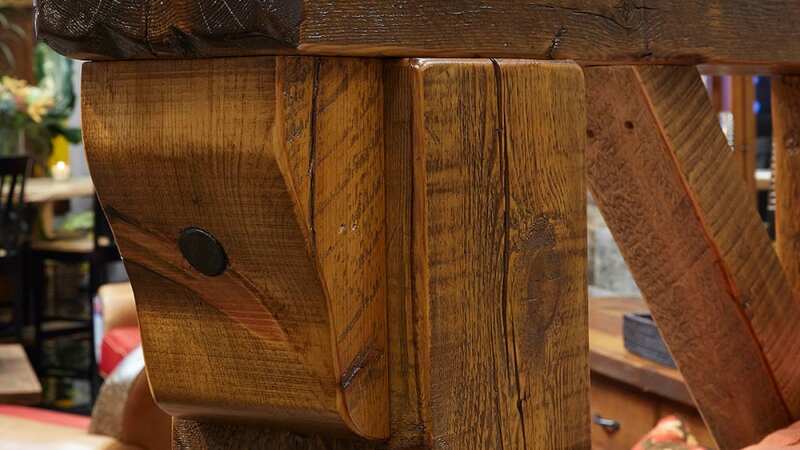 Finished with a clear coating, the natural beauty of the wood is protected, while the history can be seen by all. 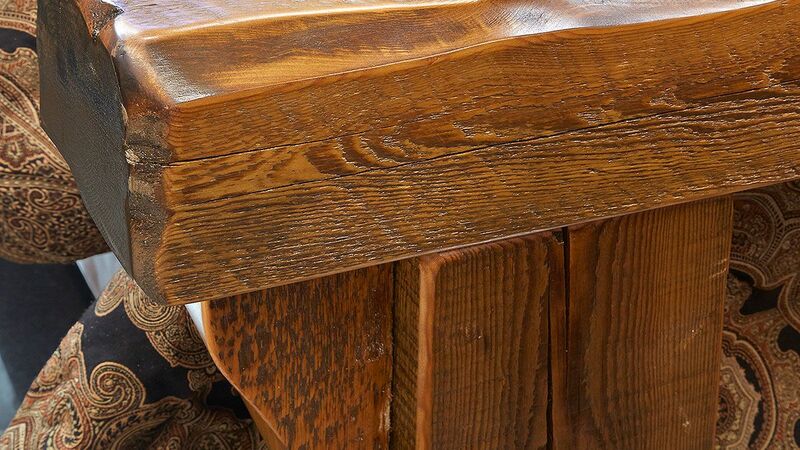 Massive timbers will remind you of the historic barns the timbers were removed from.